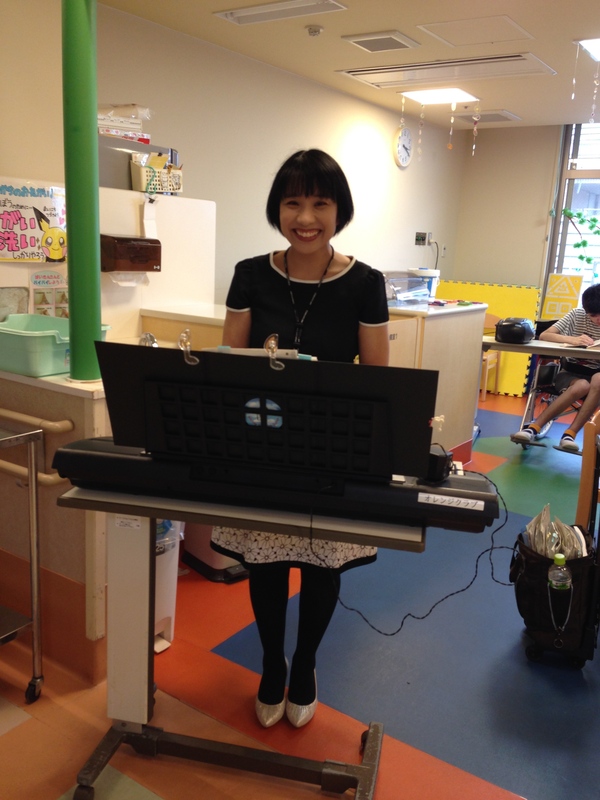 Children in the psychiatric ward enjoyed Mari-san’s recital. A teacher of in-hospital school joined and sang a popular song, then a doctor also joined, which made children excited and they started to sing songs in front of other kids too! To sing out favorite songs along piano playing is such an exciting event and it helps work off stress too. 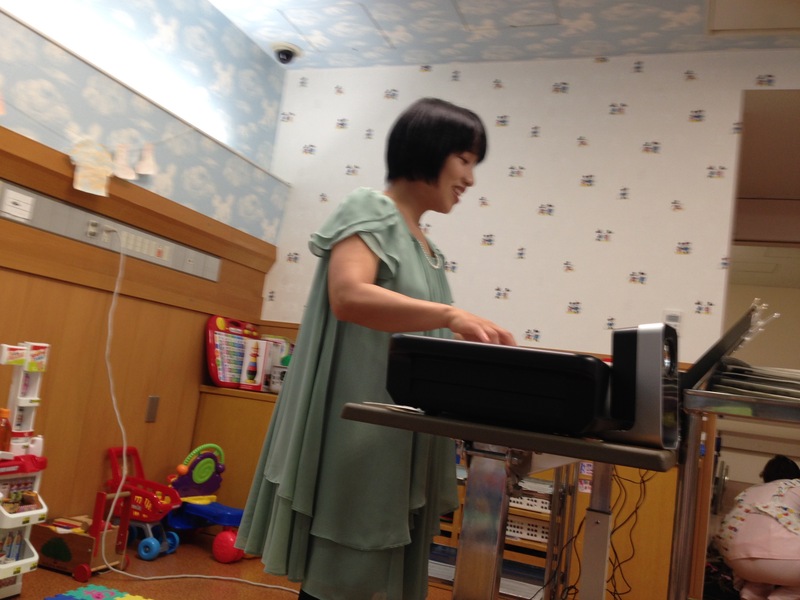 More than 40 children and parents joined Mari-san’s recital. Some SHJ artists have been on familiar terms with long-period hospitalized children and their mothers. Without asking, Mari-san plays and sings songs of their favorite as she already knows some of the children’s particular ones. Sometimes she gets to know what songs they like by looking around to find their toys or charactors printed on their clothes.These are some examples of the ways that SHJ artists bring comfort and joy to children, parents as well as the hospital staffs. There’s no need to say that the smiles of SHJ artists always let them smile and happy. SHJ started visiting University of Tokyo Hospital. There are two pediatrics wards and about 30 children and parents joined the show at each playroom. 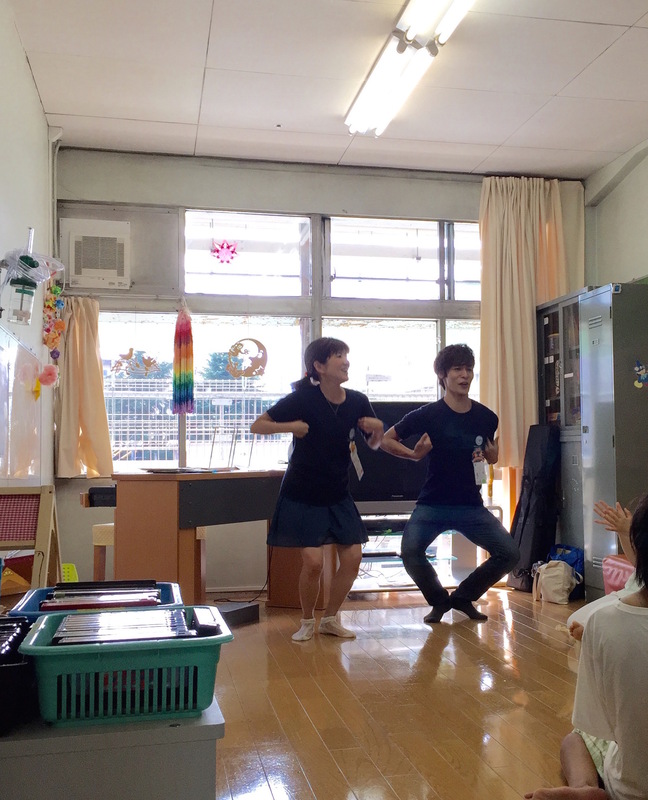 They requested their favorite songs and sang them out together, enjoyed the music quiz and two of the kids enjoyed four-hand playing on the piano with Mari-san. Then visited 4 private rooms and had fun together at each single room. Mari-san’s recital and request show made everyone excited and happy here too! It made the wards filled with lots of smile! Coloring activity is always popular among children and mothers. 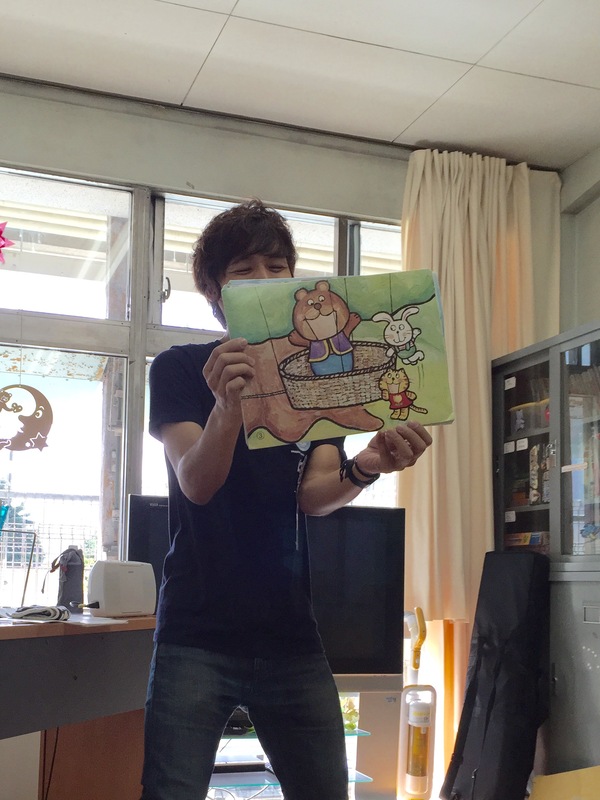 Children are very happy to have their favorite pictures to color them right after their request. Not only children but mothers like Mari-san’s original pictures too!